Face-to-face orders with me, will be due no later than March 30th, 2019. Face-to-face orders have a Service Fee of $2; this is added on to your total, after tax. 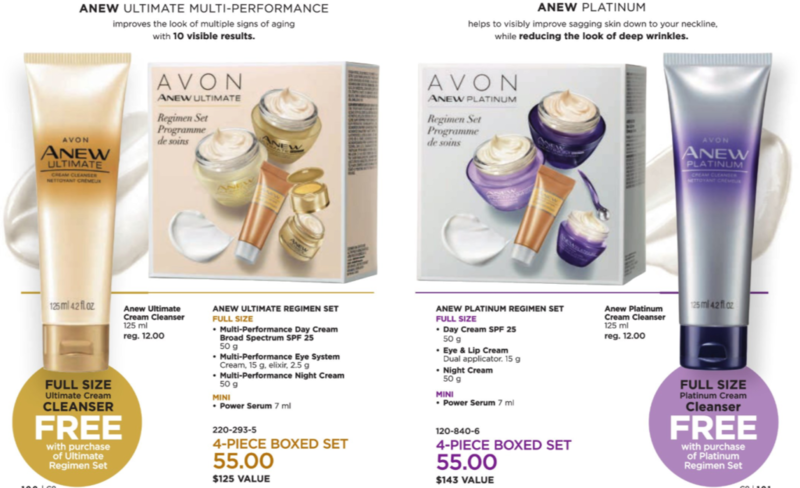 This fee is put in pace to help off set some of the costs I personally pay out of pocket such as: The shipping fee I am charged on orders from Avon, brochures, gas etc. Don't forget to register as my customer! 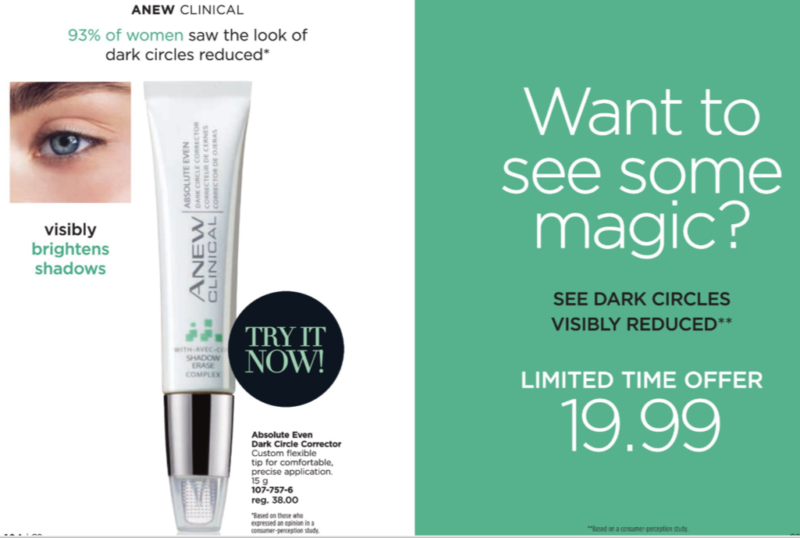 Here is your unique link to Avon Campaign 8 + Hidden Deals! Hey there Avon friends and fam..
Whoa! What happened with the time here?! So sorry about the delay in getting your Campaign 8 newsletter up and running. We are slowly (but surely?) 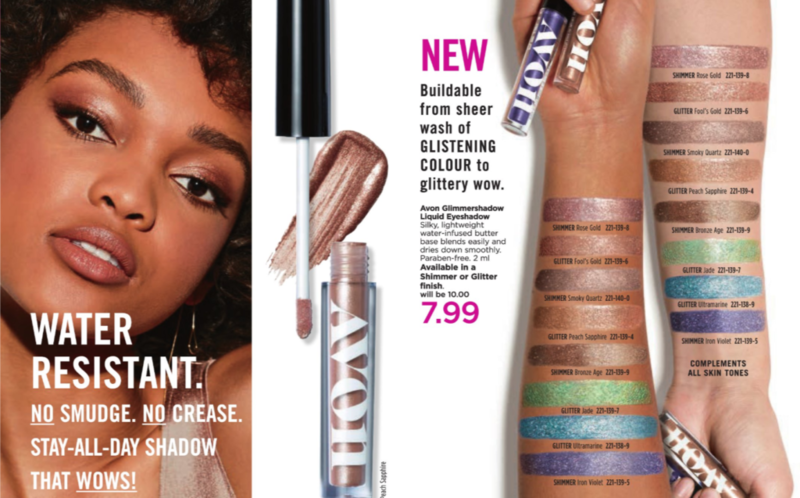 getting into that Spring weather and AVON CANADA is primed and ready with all new looks for wardrobe and your makeup bag! Let me just start by saying I LOVE that we have brought in some sparkle for a warmer season, rather than leaving it to the Holidays. Whether you are a bold girl or love that subtle sheen.. Sparkles can be worked into your makeup routine, anytime. From Summer nights on the patio, weddings, theater or play, anniversary, night on the town…your possibilities are endless and so are these beautiful colors! FULL SIZE Regimens plus FREE cleanser at the price of $55!!! Eyelashes and Eyebrows looking a little sparse? 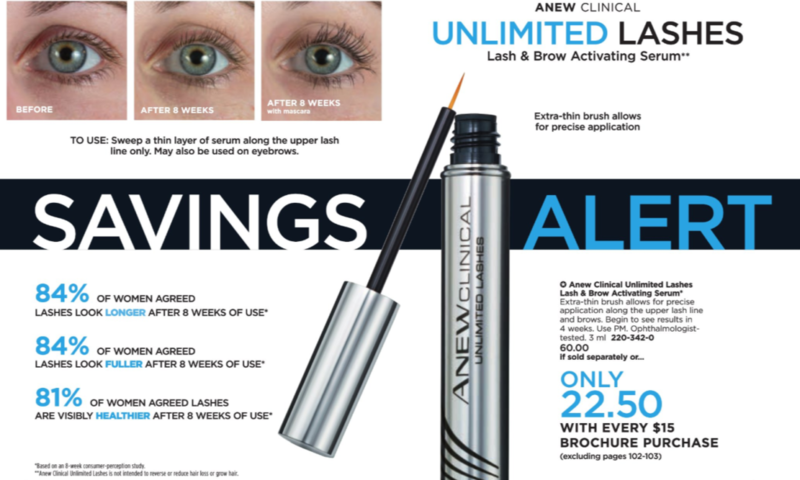 Why not give the Avon ANEW Clinical Activating Serum a try? A $60 value, available to you for only $22.50 with any $15 brochure purchase! Time change and gloomy weather have you feeling a little sleep deprived? A limited time offer, regular $38 for just $19.99!! 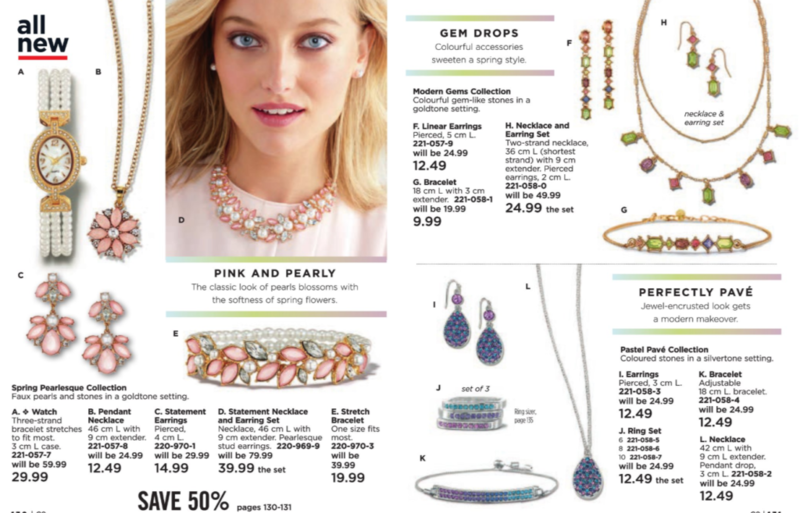 From pages 34 to 43 and again from pages 126-141 you will find a wide variety of jewelry at a price point that’s right for everyone! 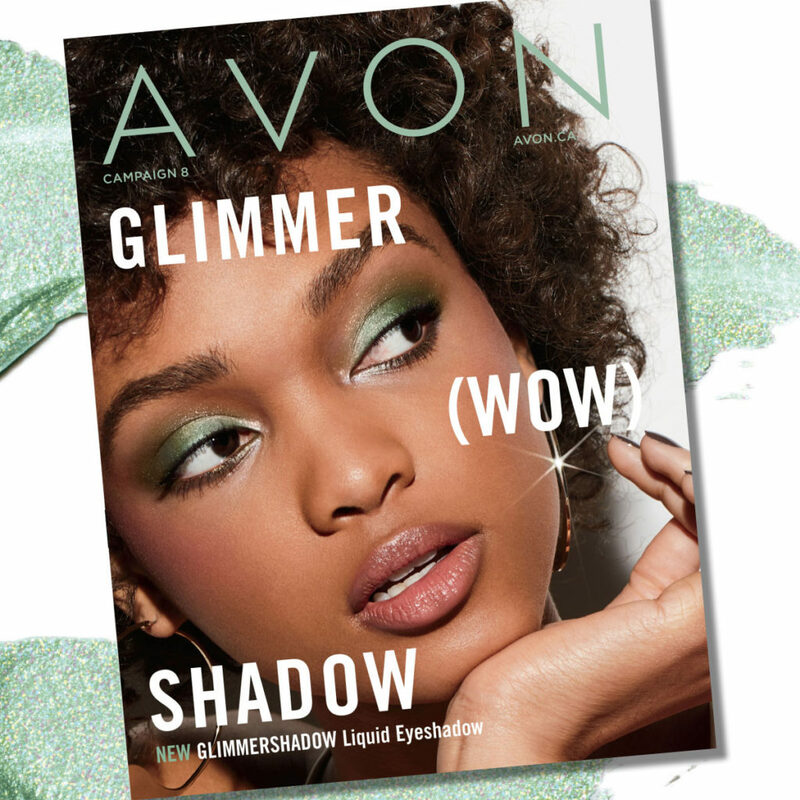 AVON has it all and we’re ready to help spruce up that wardrobe. AVON is at it again with the ever-so-popular Cushion Walk Driving Loafer! All day comfort at an opening price of just $39.99 a pair!! Hand Creams at just 2 for $5 – At this price we might as well just be giving them away! 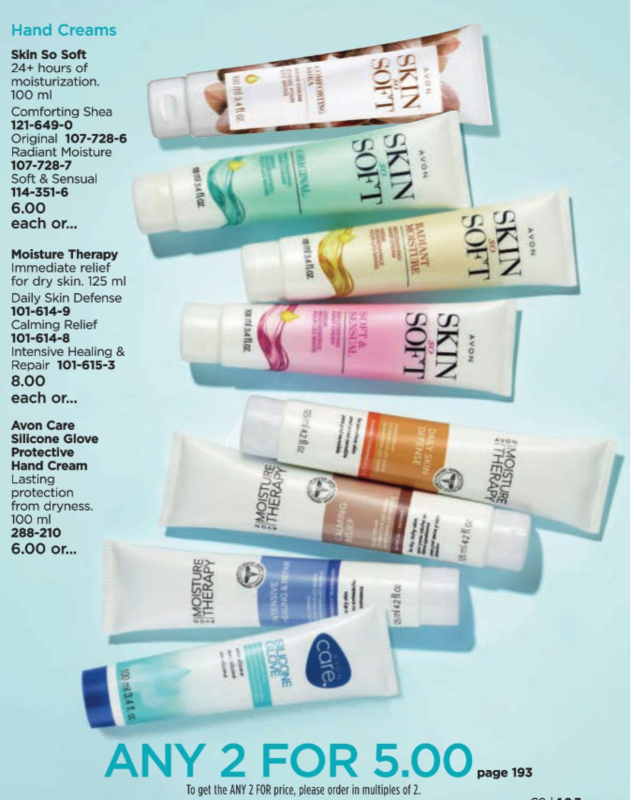 Do you need help picking the hand cream that is right for you? Give me a shout and we’ll get you set up with a hand cream I hope you’ll love! 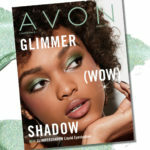 My goal is to serve you as a top priority client and in making sure Avon has met your specific needs.